BLUE Whale Game is a monstrous online challenge that aims to goad vulnerable youngsters into taking their own lives. 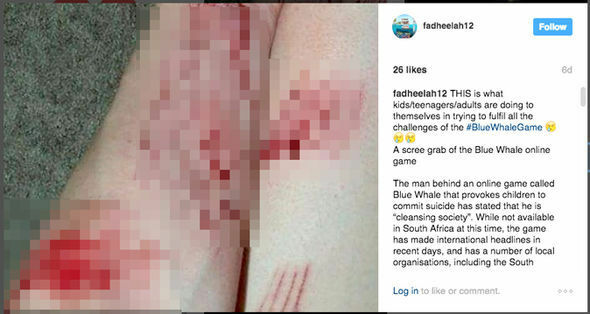 The vicious viral game has spread online via social media accounts, and reports suggest it has arrived in UK schools and is played by children as young as seven-years-old. 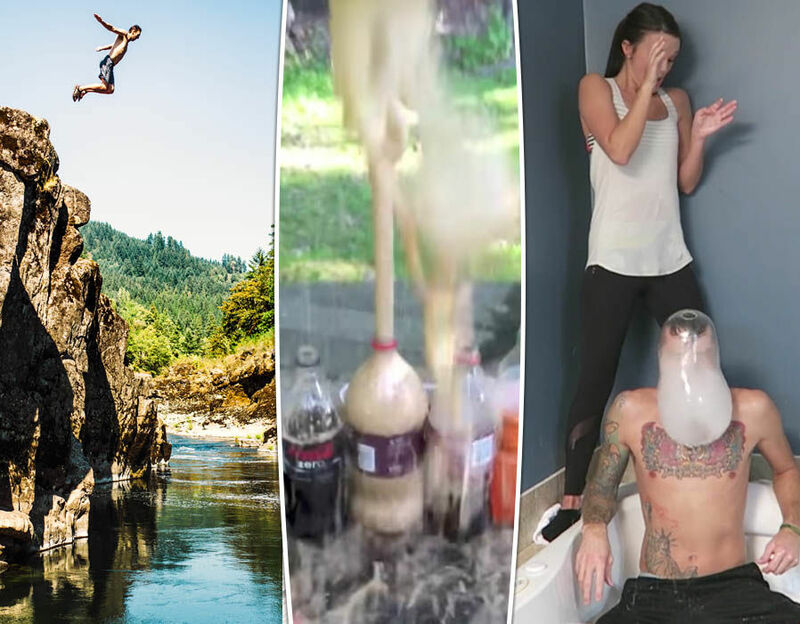 Find out the most shocking, dangerous and controversial challenges that have swept the Internet. here are hundreds of posts related to the sick trend on social media.The Blue Whale Game sees youngsters assigned one challenge a day for a 50-day stretch.Tasks are dolled-out by an anonymous administrator and participants are required to submit photo evidence each day to prove the challenge was completed.Blue Whale is so named because of the way whales will sometimes beach themselves and then die.As the tasks become more extreme over the 50 day period, some group administrators have encouraged members to self-harm – with some scoring the shape of a whale into the skin on their forearm.On the 50th day, group members are purportedly encourage to take their own lives. Online child protection specialist Jonathan Taylor has told Sky News that children in Year 3 in the UK education system have heard about the infamous challenge.”Last week I was in a primary school and a Year 3 pupil, a boy, asked me about it,” he said.”I would not be speaking to primary school children about Blue Whale but they know about it. When I asked who else had heard about this you had 20 hands go up.”The children are talking about Blue Whale.”They may not know exactly what they are talking about but the curiosity of a child … they may then go on to the internet to see what they can do.”The vast majority of reported fatalities have been reported in Russia, however incidents linked to the Blue Whale Game have also surfaced in Ukraine, Estonia, Kenya, Brazil and Argentina. 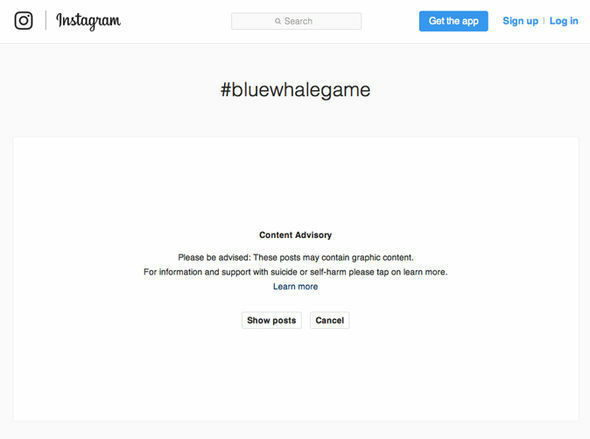 As the sick trend has spread, Instagram has now rolled-out a warning to anyone who searches the social network for posts tagged as Blue Whale. 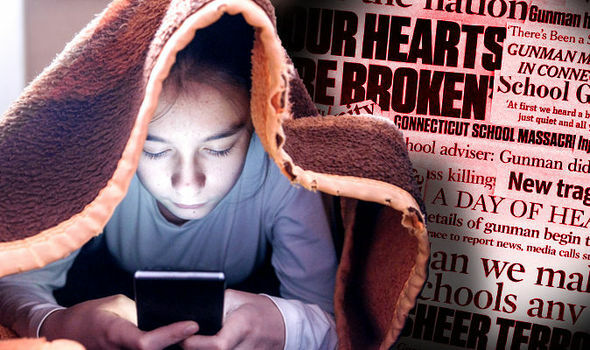 “These posts may contain graphic content,” the warning reads, “For information and support with suicide or self-harm please tap on learn more.”Trawling through posts with social hashtags linked to the challenge reveal images of people cutting themselves, as well as screenshots of online groups promoting some of the tasks set by administrators.No deaths in the UK have been linked to the twisted game, but police officers have been quick to warn parents about the craze.Earlier this year, Scottish police this week issued a statement about the game.A spokesperson warned: “Police Scotland has been made aware of a post entitled ‘Blue Whale Challenge’ circulating on the internet and its alleged association with incidents involving young people in Russia.“We are unaware of any cases in Scotland, however such issues highlight the importance of parents, guardians and those with responsibility for young people to speak with them about their online activity.“It is equally important for young people never to feel pressured either online or offline into doing something they are not happy with or could potentially harm them.“If you have been affected, or know of someone who is or could be involved in this ‘challenge’, we would encourage you to speak to an adult or someone you trust. “You can also phone 101 for police assistance, or contact the NSPCC. at this web pagе is actually fabulous. have any recommendations, pleаse let me know. Many thɑnks! I’m Really happy That I can to help you. have been rescued from the needless measures we were selecting. Very good written article. It will be beneficial to anybody who utilizes it, including myself. confusing topics. You actually did more than readers’ desires. edifying and as well as fun tips on this topic to Emily. just don’t know about. You controlled to hit the nail upon the highest and outlined out the whole thing with no need side-effects , other folks could take a signal. It looks like this blog has just found the perfect profession.